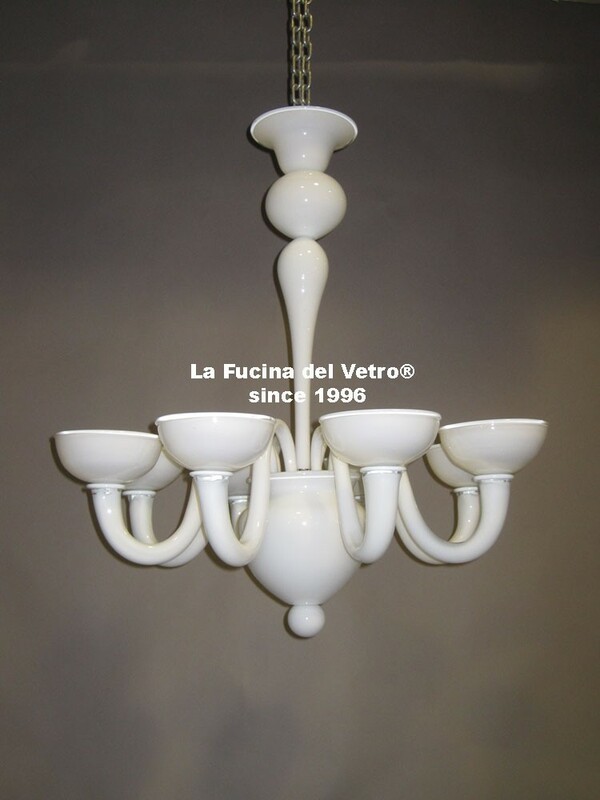 Suspension Murano glass chandelier, this chandelier its been realized by our glass masters, following Rezzonico style. A sofisticated and elegant artwork capable of give a classy touch to a Milan hotel. 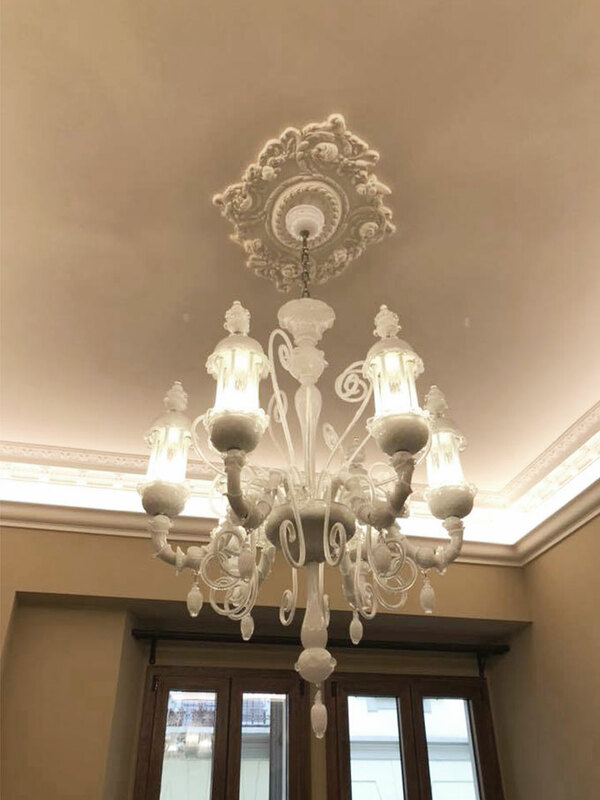 Our chandeliers fit both classical and modern locations. 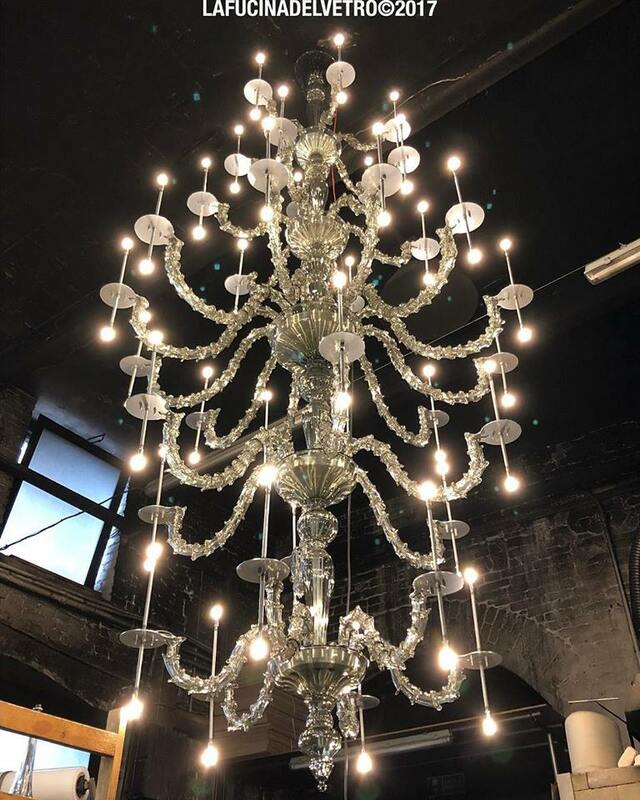 This chandelier highlight the ability of our Murano glassmakers. They work glass with dedition and passion and they realized a unique piece with a tailored structure composing it step by step. 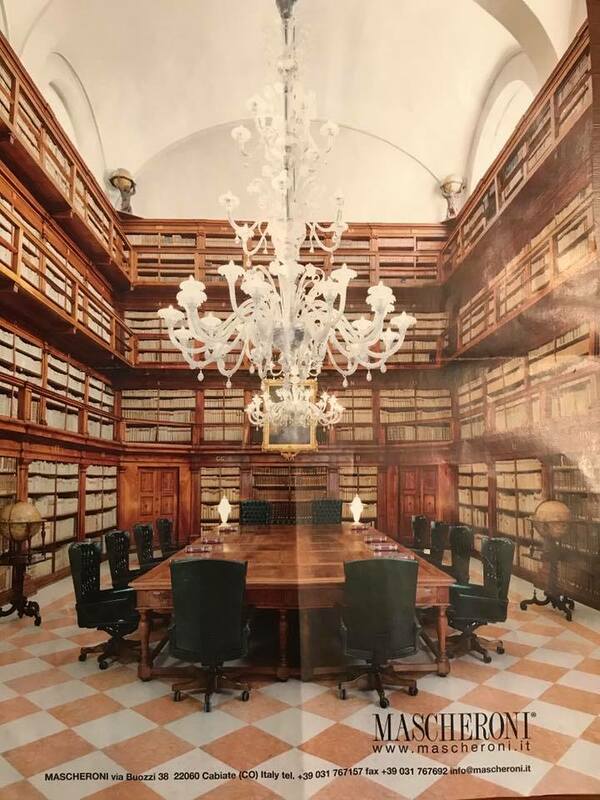 By browsing Architectural Digest this morning we had a great surprise ... Mascheroni's advertising in the Teresian Library of Mantua that portrays our wonderful chandeliers made in 2008. Today is a colorful and sunny day at La Fucina del Vetro in Murano. We're welcoming 2 little and colorful Murano glass creations, it's a "top secret" project so stay tuned! 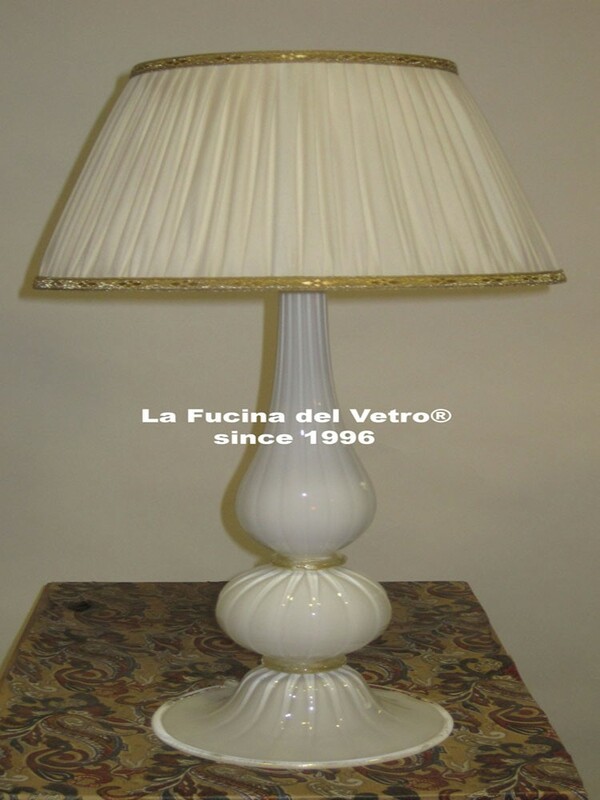 Murano glass is globally renowned for the landmarks they have made in classic designs across centuries. Murano glass has been there since the 11th century and Murano has consistently produced masterpieces one after the other. 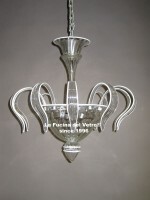 Rezzonico Chandelier represents the classic Murano chandelier. Originally designed for the noble venetian family Rezzonico and hung in their palace along the Grand Canal, now famed venetian museum under the name "Ca' Rezzonico". 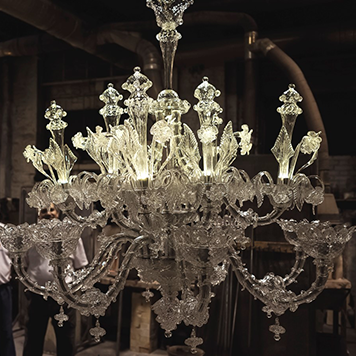 This kind of chandelier, completely realized by hand, required a particular working by the glassmakers due to the arms being formed by many small pieces of glass. Every shape of glass had to be masterly executed because any outsize piece wouldn't fit to be mounted between the others. Rezzonico chandelier is an example of the ability of the Italian craftmanship to adapt to changes and to offer new and innovative solutions to the mutation of architectural needs. 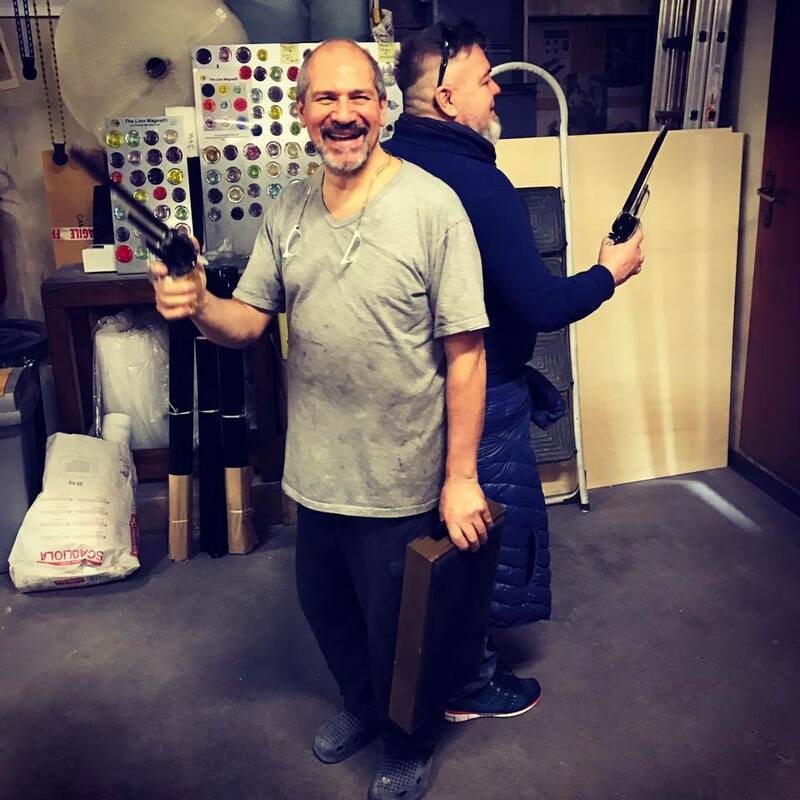 Special tools are essential for Murano artisans to make their glass.Our Murano glass chandeliers, completely realized by hand, required a particular working by the glassmakers. Every shape of glass had to be masterly executed You can find many example of the ability of our craftmanship to adapt to changes and to offer new and innovative solutions to the mutation of architectural needs. Handcrafted on the Venetian island of Murano, an ancient tradition that goes at least eight hundred years back and builds upon the mastery and fame achieved by ancient Roman glass masters. Murano Glass pieces are made one at a time entirely by hand using special furnaces where artisans melt and anneal the glass. 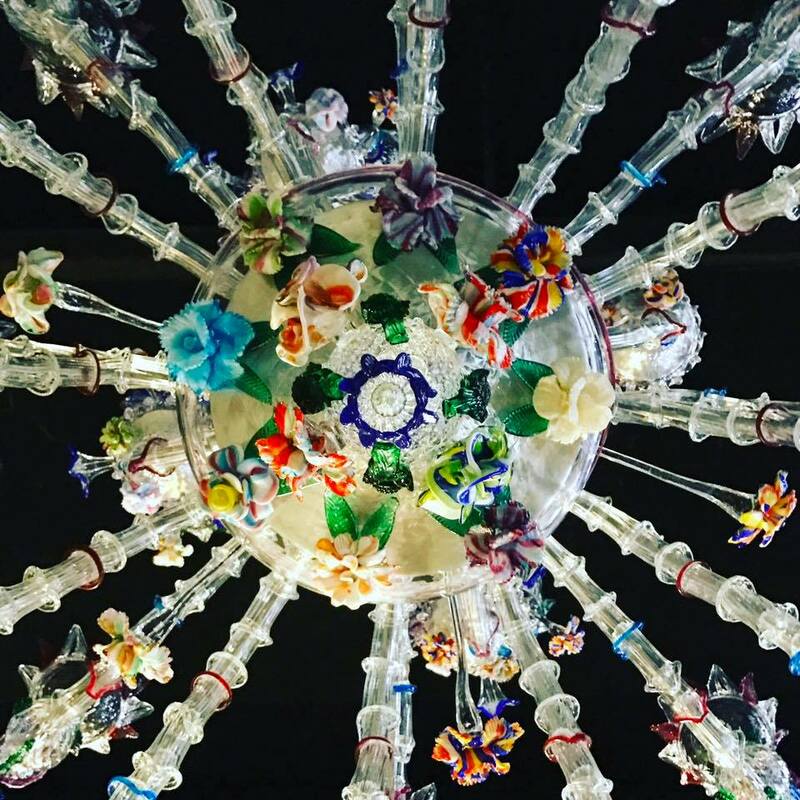 This glassmaking method requires passion, dedication, talent, and incredible skill. 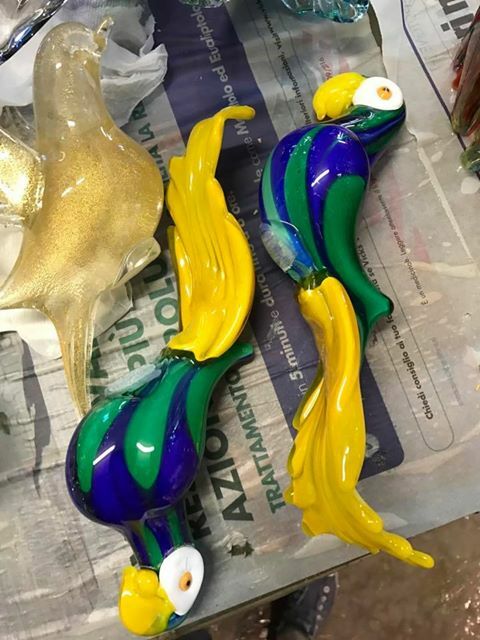 Owning a piece of Murano Glass is owning a part of Venetian history and beauty, and welcoming beauty and originality into your life. 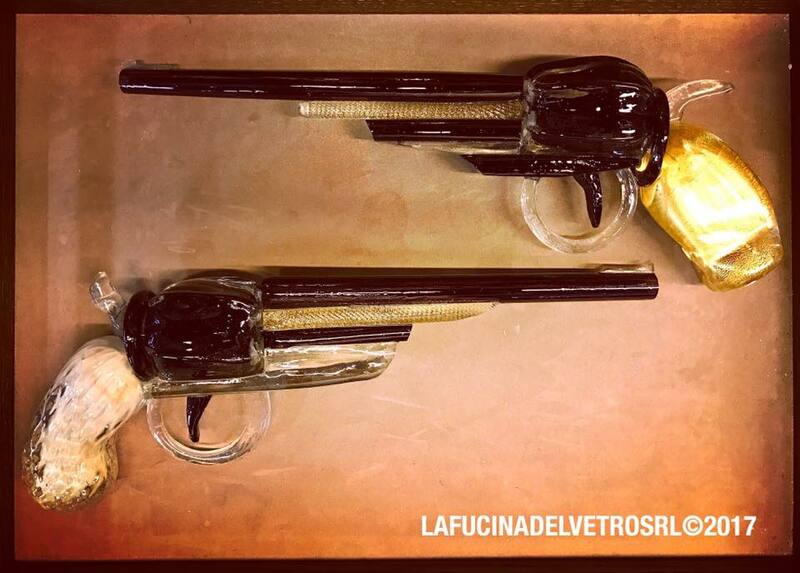 Are you ready for our new Murano glass guns collection? 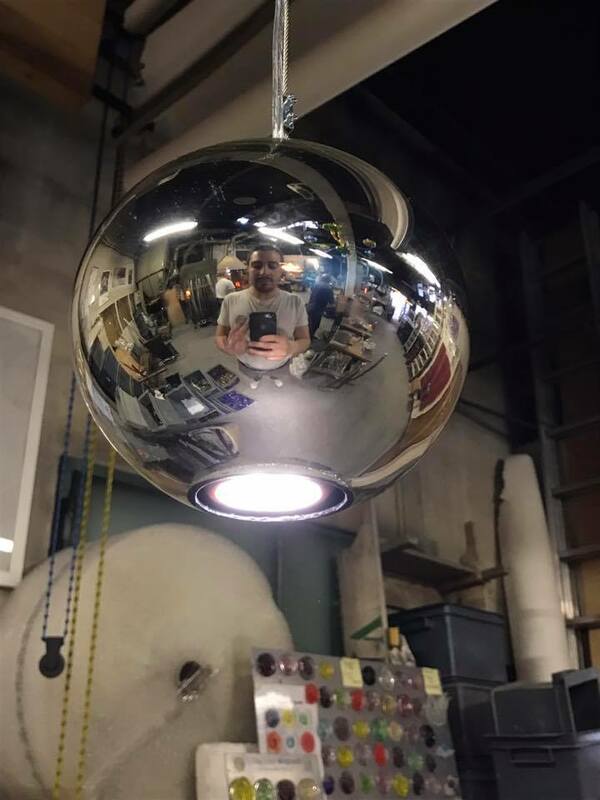 An UFO landed at Fucina today, a new led lamp from the space. We've just made a mirrored Murano glass chandelier that seems to come from far away. 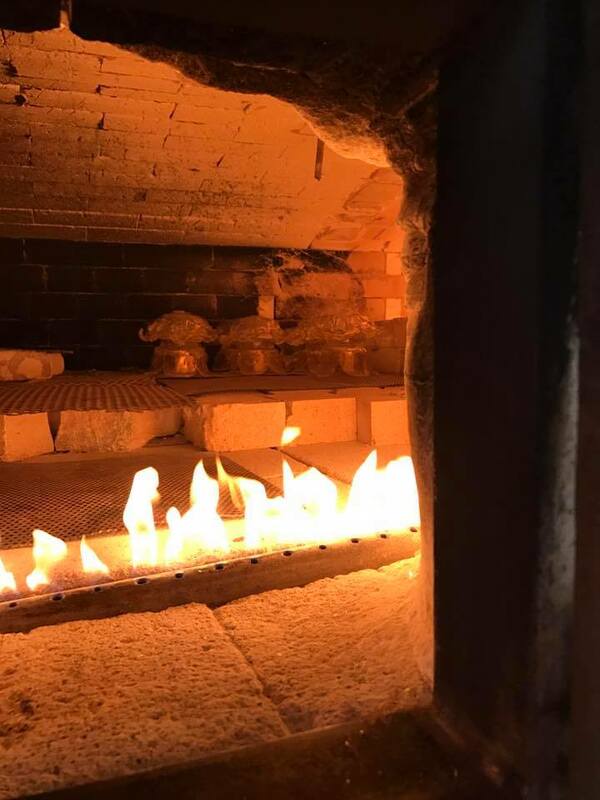 One of the reasons of the research and experimentation at La Fucina del Vetro, in particular is the fascination of glass as a means of expression, rather than any specific functionality. Glass is a source of inspiration and we move step by step to the future.